Sony's engineers are looking for ways to reduce production costs, but won't be done in time for the holidays. Sony may have an impressive handheld gaming device in the PlayStation Vita, but its biggest criticism still stands: it's an expensive handheld gaming device. 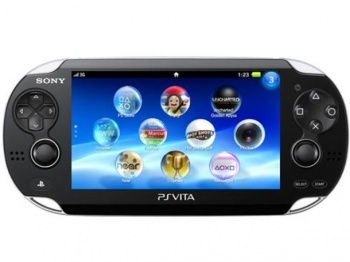 What not everyone may realize is that Sony isn't charging $250 dollars a unit because it can; the Vita actually has very high production costs, which may even mean the company is losing money on each sale. Still, Sony knows it's in a tight spot, and Worldwide Studios head Shuhei Yoshida explained that its engineers are in the process of reducing manufacturing costs. The only drawback? Any price drops wouldn't take effect until 2013. "People like cheap or free," Yoshida told Eurogamer. "Of course, cost reduction is one area our engineering team is working on. But we just launched the platform earlier this year. It takes time to do so ... It's too early." While a price drop may not be possible in the immediate future, Sony instead is focusing on fixing the second criticism of the Vita by improving its games catalog. "We see lots of feedback from consumers saying they would like to see more content, they would like to see their favorite franchises coming to the PS Vita," Yoshida explained. "So we have to continue to work on bringing more content from big titles people are looking for in terms of franchises, to very small, snack-sized, intuitive casual games on the digital distribution side." While the Vita is a powerful piece of hardware that provides console-level experiences the fact remains that it's lagging behind in the handheld market thanks to competition from the competitively-priced Nintendo 3DS and huge range of titles on mobile markets. Fixing these concerns might go a long way towards improving its prospects, just like the price drop on the 3DS did for Nintendo, but if it can't do so before the holiday season Sony could have a tough time building up new audiences in the new year.